Every gold buyer claims to give the most for scrap gold, silver and diamonds.There can be only one "most". So, how can you know whom truly and consistently gives the best payouts? 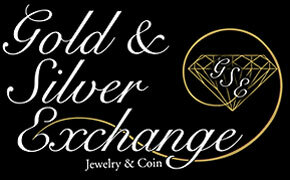 The Gold and Silver Exchange "Check Around First Challenge"
We know what our competitors pay and so we challenge you to take your precious items to them first and then come see us.We are confident that we can make you a better offer every time and then you will know who truly pays "Top Dollar".